I mean, Monday. 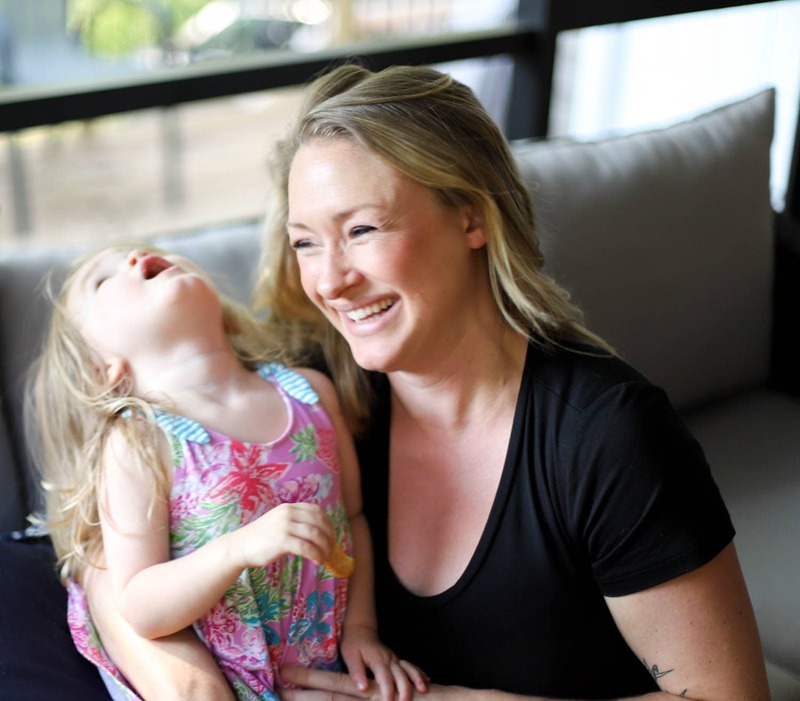 In honor of this super busy but fun but stressful but exciting week, I’ve made you two recipes for the price of one. Free, as always, but still. 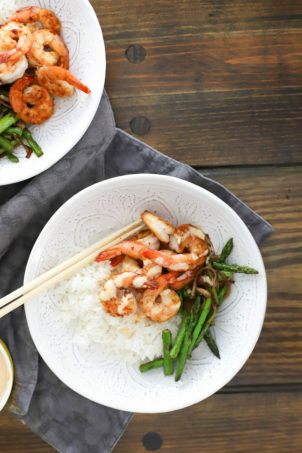 This meal is healthy, super flavorful, and can be finished in 20 minutes or so. The longest part is crumbling and cooking the chorizo, and if you think you’ll be in a hurry you can do that in advance. 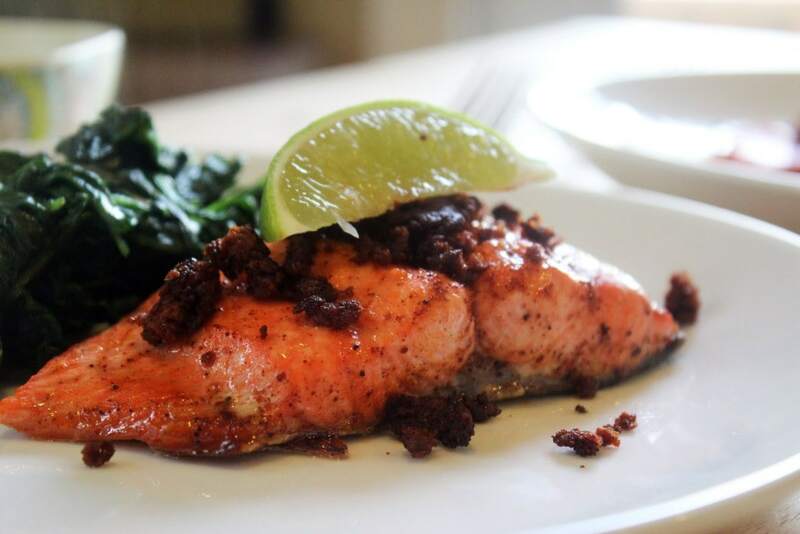 Basically, to make this entire meal, you want to cook the chorizo, then the salmon in the same pan. While the salmon broils to finish cooking, wilt the spinach for 3 minutes, and everything will be done all at the same time. 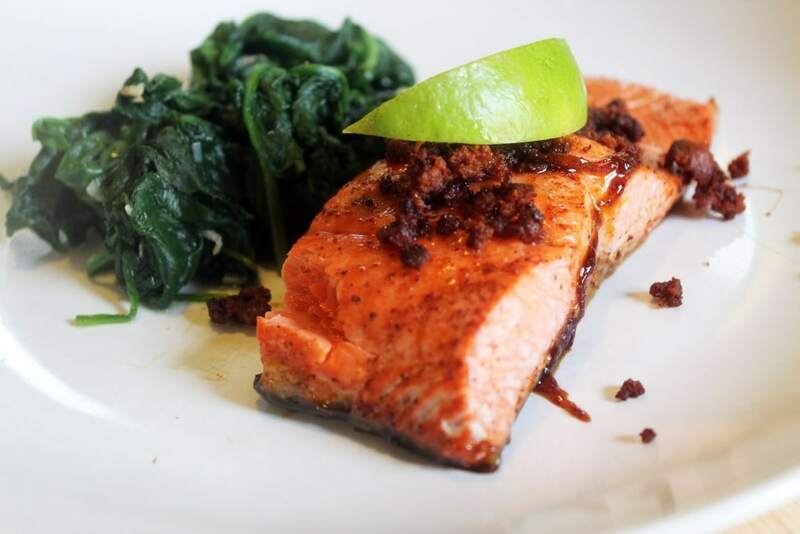 Here’s how we do the salmon. 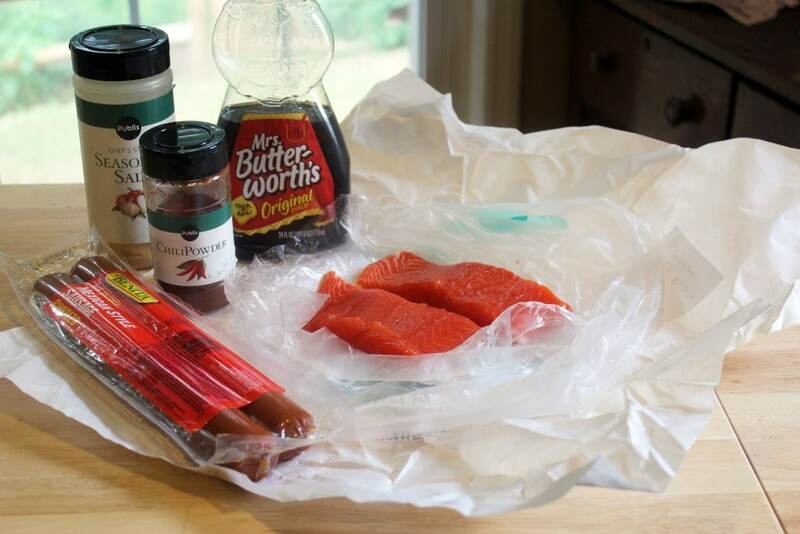 You need chorizo, salmon, maple syrup, chili powder, and seasoning salt. 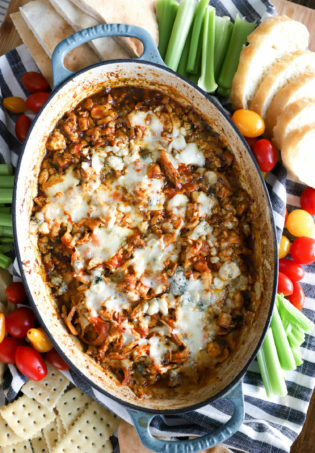 We’ll cook the chorizo AND salmon in the same skillet which will then go in the oven – so start with an oven-proof pan to avoid having to do more dishes. First, cook and crumble the chorizo, then set it aside and turn the broiler to high. If the chorizo didn’t leave many drippings, add a drizzle of oil to the pan. In the same plan, place the salmon skin-side DOWN over medium heat. 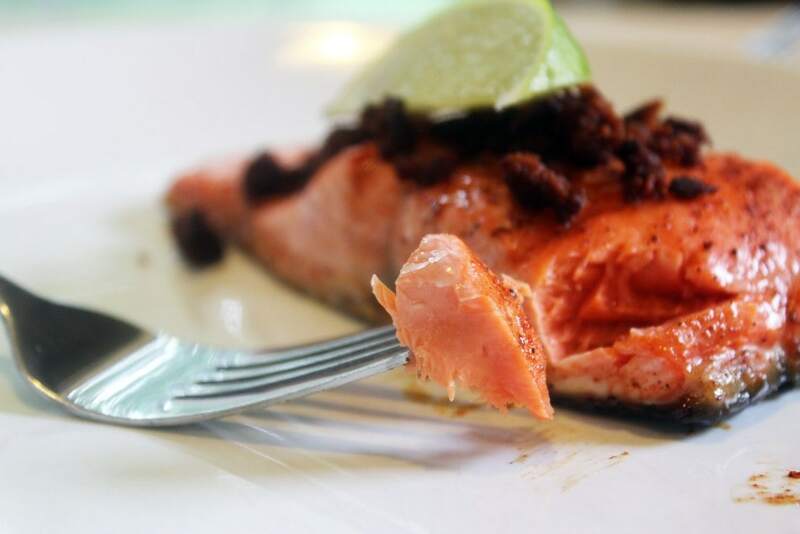 We won’t flip the salmon; we’ll finish it under the broiler instead. 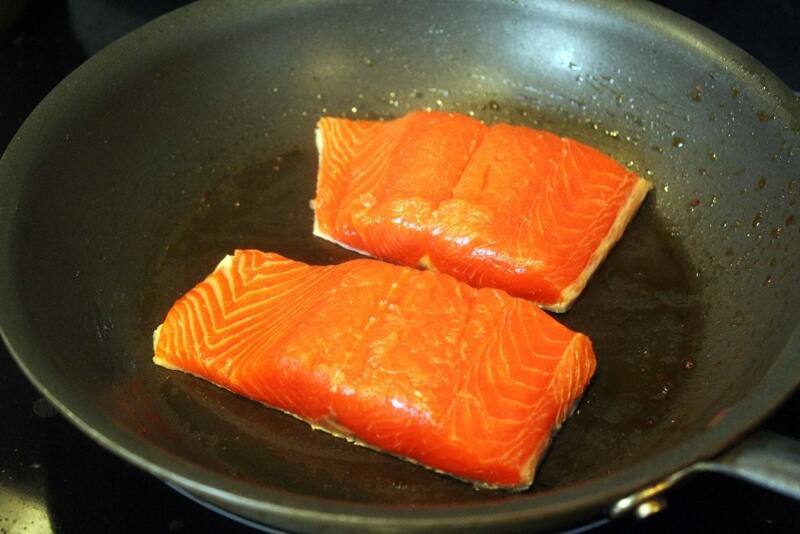 Let the salmon cook for 2-3 minutes until the bottom half starts to look opaque. 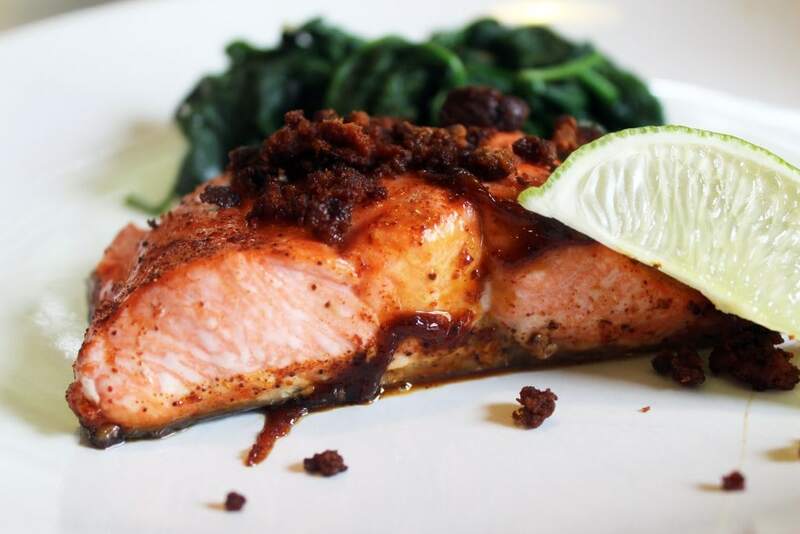 Sprinkle the salmon with the chili powder and seasoning salt, then drizzle with the syrup! Now, to cook! 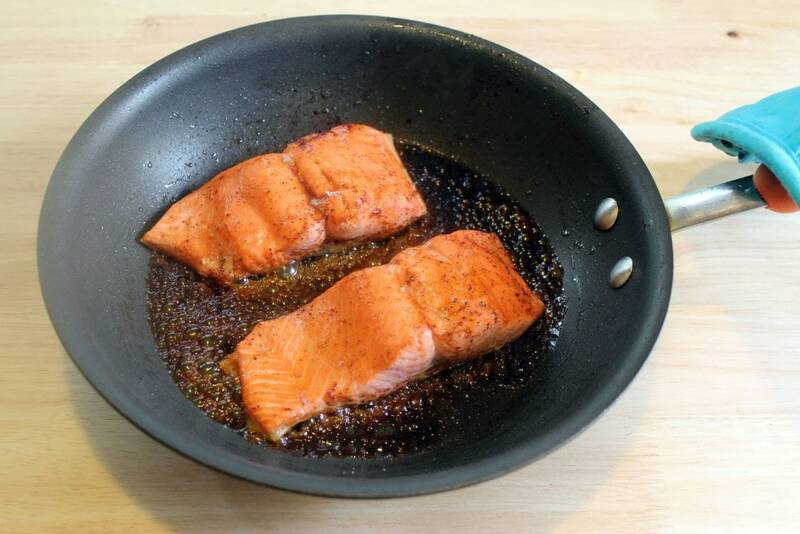 Place the pan with the salmon under the broiler for 2 – 3 minutes until the top is lightly browned and the syrup is caramelized. I like my salmon slightly rare on the inside (it’s way better this way, trust me), but if you’re a well-done kinda person just cook the salmon for a few minutes more until it’s done to your liking. And now we have salmon! Sprinkle each piece with chorizo crumbles, and SERVE. I like lime wedges with this to drive the Mexican-ish feel home, but you can use lemon wedges if you’d rather! Now, for the spinach. 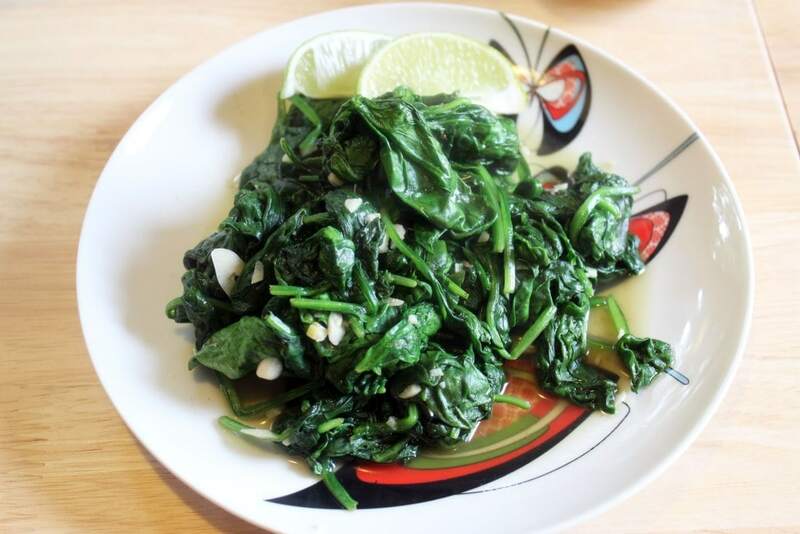 You need cumin, lime, spinach, salt, and garlic. Easy! 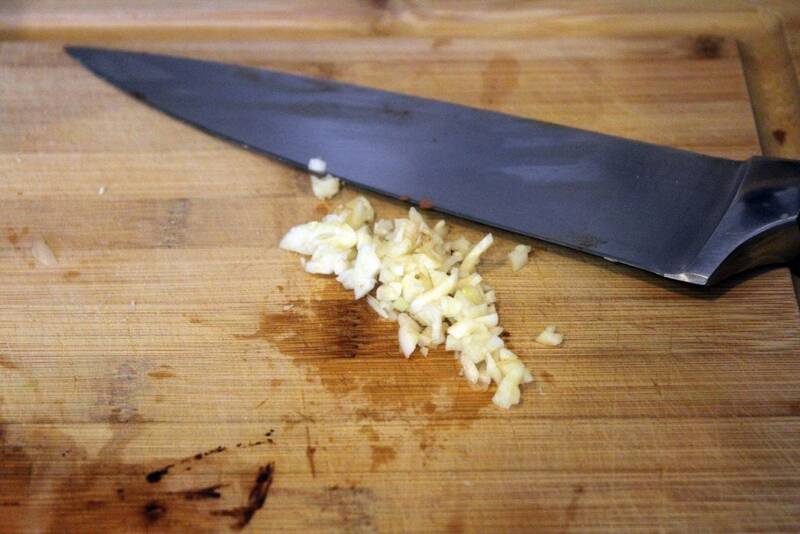 The only prep is to mince the garlic. Do that. 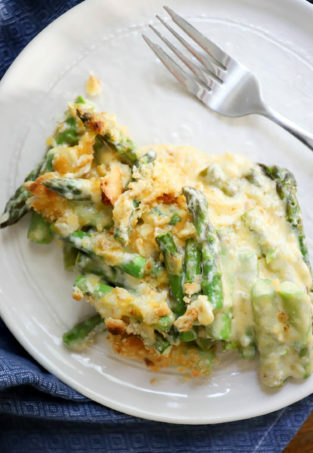 Now, if you’re using a nonstick pan you don’t need any fat at all for this side dish. You can use cooking spray or a drizzle of olive oil while you heat the pan though, no worries. Preheat the pan to medium heat. 3 minutes before you’d like to serve, add in all the spinach – it looks like a lot, but 1 bag is really only enough for 2 people! Then, sprinkle on the cumin, salt, and minced garlic. 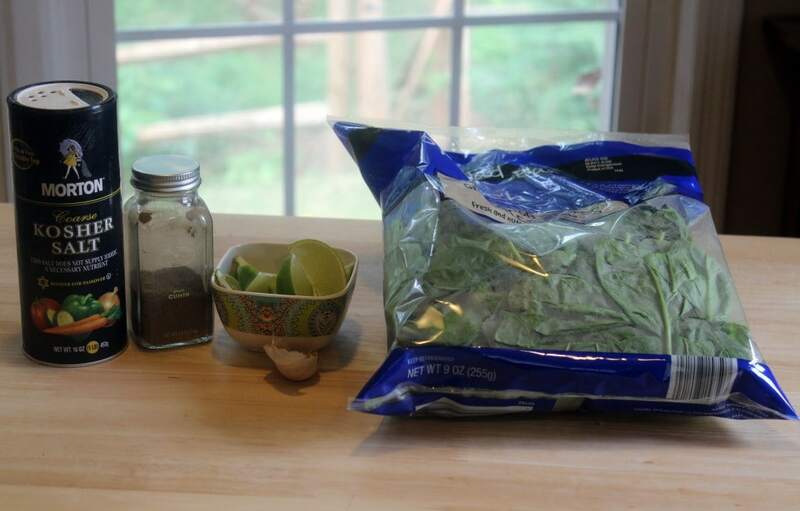 Toss the spinach to wilt and slightly cook the garlic for just a minute or two until it’s mostly wilted but some whole leaves remain. Then, serve with lime wedges! These dishes can go separately with any other dinner you’d like, but they’re really nice together. You could add rice too – maybe green cilantro rice? Enjoy this simple meal, friends – it’s great for a weeknight but also fancy enough for a weekend. Salmon was always weekend food for my dad when we were growing up, so it feels fancy to me. Preheat a large, ovenproof skillet to medium-high heat. Cook the chorizo for 5 - 10 minutes, crumbling as you go, until cooked through and crispy. Remove the chorizo and preheat the broiler. In the same pan, cook the salmon skin-side down for 2 minutes until the bottom edge becomes slightly opaque. Sprinkle evenly with the chili powder and seasoned salt, and drizzle with the syrup. Broil the salmon for 3 - 4 minutes until cooked through to your liking and syrup is caramelized on top. Serve with lime, if desired. Meanwhile, preheat a second skillet to medium heat for the spinach. 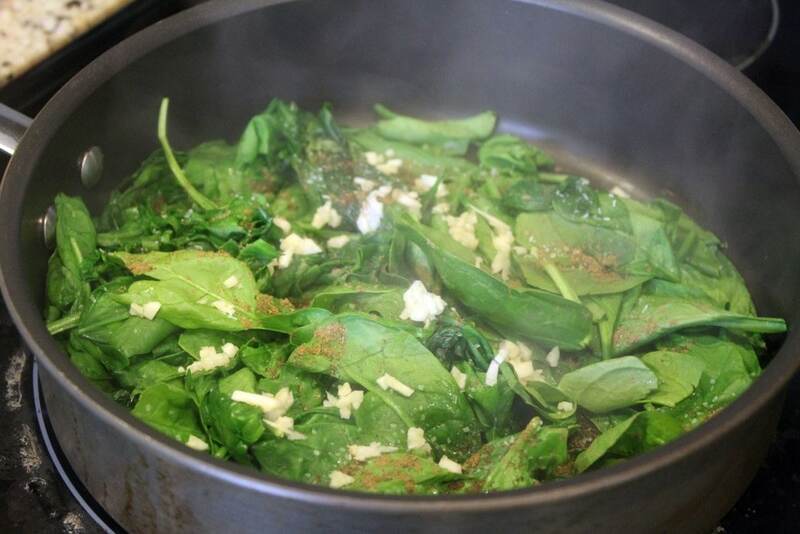 Add the spinach to the pan with the cumin, garlic, and a sprinkle of salt. 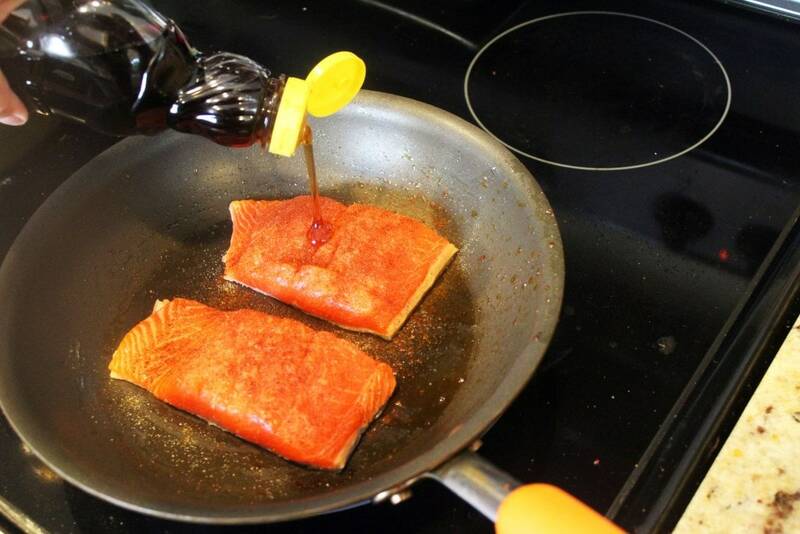 Use a drizzle of oil if not cooking with nonstick cookware. 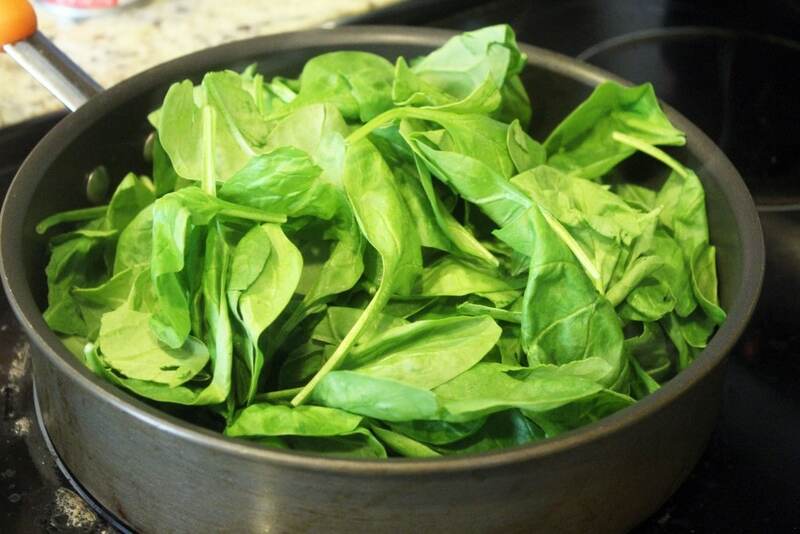 Toss the spinach to wilt for 1 - 2 minutes until just barely wilted, and serve. 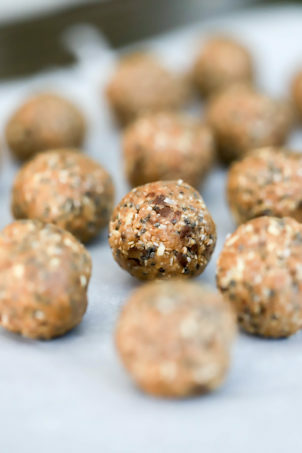 For salmon with no skin, cook for 1 minute less to prevent overcooking.